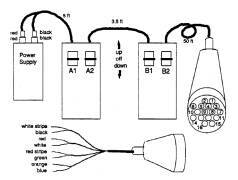 The control system was simply a wired 4-button system to drive up to 4 motors forward/reverse/stop. 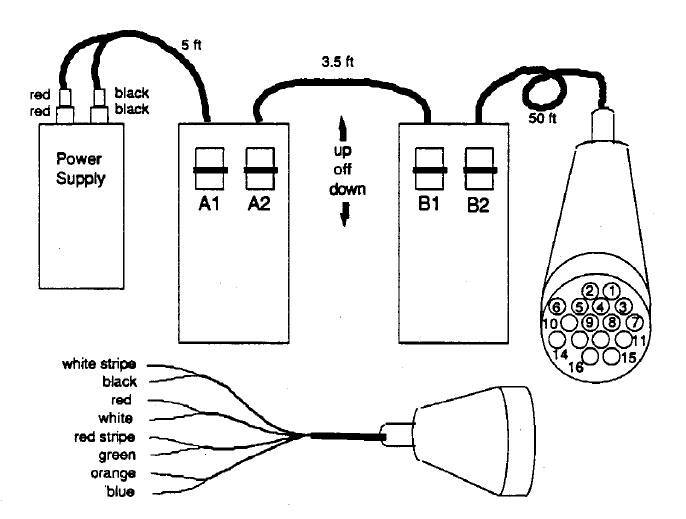 The control system through the use of the buttons provided all power to the robot motors over an umbilical cable. The system was not programmable, nor even used any kind of microcontroller. The control boxes and umbilical cord shipped in the team Kit of Parts were for team practice at home and in the pits. In competition identical field controls attached to the fields were used by all teams.